ANewsVanIsland | December 15, 2010 | The town of View Royal, British Columbia, is set on improving both its roads, and the cleanliness of the stormwater runoff from them. A big part of the Island Hwy Improvement Project is the adjacent Portage Park storm water treatment area. The natural landscaping utilizes a number of native plants, storm drains, and holding ponds to filter heavy metals and impurities, such as oil, before it trickles down into Thetis Cove. The area is abundant with wildlife, including herons, ducks, and other waterfowl, that feed there. And despite the short-term pain, these improvements, including bike lanes, are expected to cut carbon emissions by almost 5,000 tons per year, while creating an environment that all species will benefit from. Even the fussiest homeowner will recognize that today’s rain barrels are neither eyesores nor mosquito havens but symbols of responsible home ownership, reducing stormwater problems and conserving groundwater supplies. zoralathan | October 26, 2010 | Two rain barrel installations in the community of Arundel On The Bay, Anne Arundel County, Maryland. bestpracticesvsrs | September 14, 2010 | Bioretention practices are being studied under RTI REsearch Project 0-5949.
greentreks | August 11, 2010 | When the East Falls Development Corporation began planning a parking area adjacent to Pennsylvania’s Schuylkill River, locals wanted it done an environmentally sensitive way. Rather than directing runoff into storm drains and sewage pipes, the lot was designed so that rain water would flow into a natural garden area to be held and cleaned before being slowly released into the river. Besides managing runoff, it’s added value to the neighborhood and proved to be a whole new way to connect the environment to people’s behaviors at home. 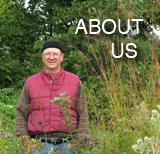 View more stormwater management videos at Greenworks.tv. rexallanjones — May 19, 2010 — ROR is a film on water quality in Mississippi. Meet some folks in North Mississippi who have come together around their river to manage stormwater and the resulting sedimentation and erosion. Topics include native plants, rain barrels, and riparian buffers. Sponsors of ROR include City of Southaven, Mississippi; DeSoto County, Mississippi; Natural Resources Initiative of Mississippi; Neel-Schaffer; North Central Mississippi Resource Conservation and Development Council; Mississippi Soil and Water Conservation Commission; Mississippi Department of Environmental Quality; Tennessee Valley Authority. Staff at the University of Wisconsin Arboretum are researching natural solutions to stormwater management in response to new threats to a treasured 1,200-acre site. This video from PBS plays automatically.